(verb) To represent (letters or words) in the corresponding characters of another alphabet. Usage: The Arabic text had to be transliterated for the American actors so that they could learn to speak their lines convincingly. Definition:	(verb) To represent (letters or words) in the corresponding characters of another alphabet. 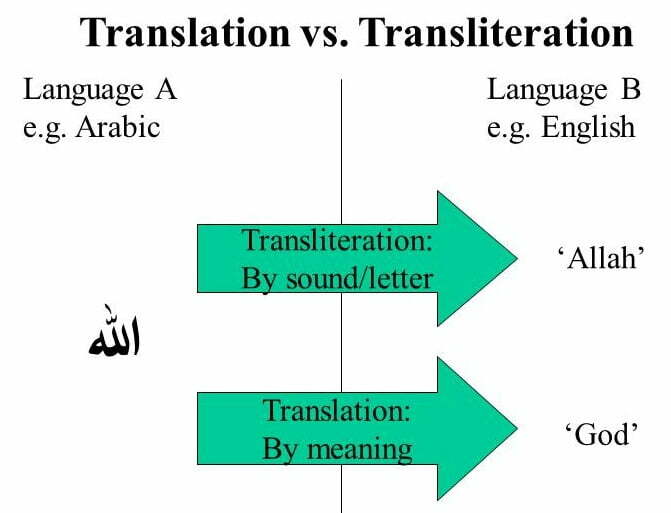 Usage:	The Arabic text had to be transliterated for the American actors so that they could learn to speak their lines convincingly.